My goal is to have a meaningful impact on my clients and my team members – whether it’s helping clients through a difficult time or making sure my team has the knowledge and tools they need to be successful. I enjoy working with them and I want them all to be happy. Pamela Wheeler specializes in the taxation of trusts, estates and individuals as part of the Estate, Gift + Trust department. 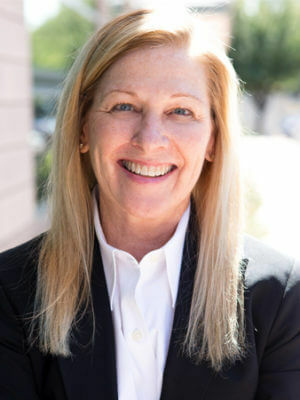 Before joining Henry+Horne in 1998, Pamela worked as a Senior Manager in the Trust Divisions of two large California banks specializing in fiduciary and estate taxation. She also spent several years working with two national CPA firms in Los Angeles and Phoenix, managing fiduciary compliance work for a major multi-state bank on an outsourcing basis. Her favorite thing about working at Henry+Horne is that it feels like a family. She says you can always go to someone for help, to learn or just to share something – and everyone works so well together. Pamela is enrolled to practice before the IRS and she is a Certified Specialist in Estate Planning (CSEP). When she’s not working, you can find Pamela spending time outdoors. She is a passionate hiker and hikes the Grand Canyon every year. What is the first thing you ever won? Cooking is a passion, so I can’t think of a specific dish, but our family’s incredible chocolate birthday cake would be on top of the list. Tax trivia – did you know? Is the death of the stretch IRA imminent? Why do you need my driver’s license for my tax return? Will this Estate Planning Loophole be Closed? Inherited savings bonds – what do you need to know? Mom and Dad, help! I want to buy a house! Would You Benefit from a SLAT?